In an interesting change of events, the world’s fifth largest silver producer saw its production plunge 32% in May versus the same month last year. 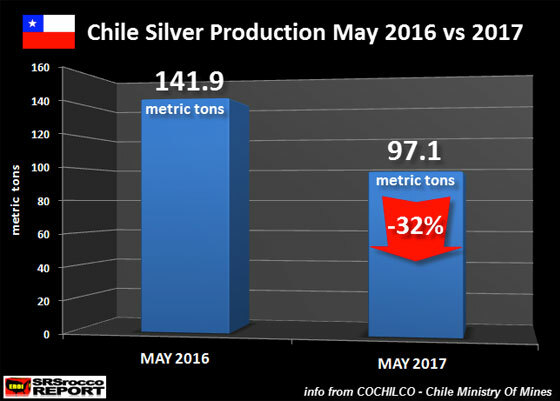 Chile, a country which produced a record high of 54 million oz of silver in 2014, is forecasted to see its mine supply decline to less than 40 million oz in 2017. 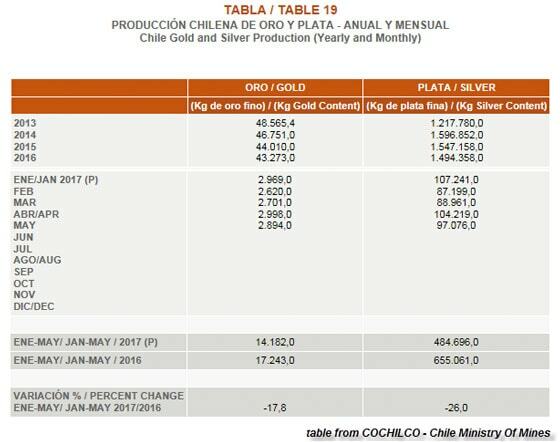 According to COCHILCO’s preliminary production figures, Chile produced 655 metric tons of silver Jan-May 2016 versus 485 metric tons Jan-May 2017. Again, this a difference of 170 metric tons.... or a 26% decline year to date. Furthermore, preliminary results from the top silver producers show that mine supply continues to decline from the global peak in 2015. 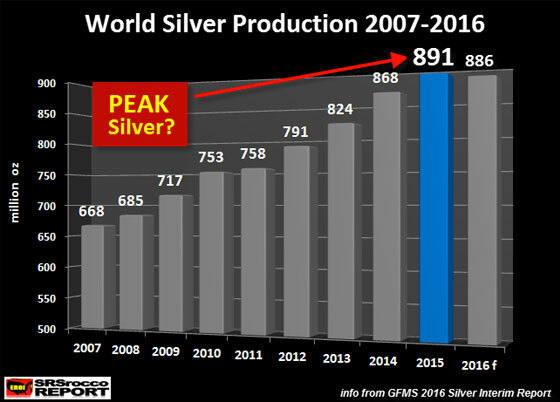 If we assume another 2-3% decline in world silver production in 2017, world silver mine supply is forecasted to decline to 850-865 million oz. This decline in global silver production is taking place at a time when several analysts are calling a BOTTOM in the silver price. There will be no equivocating, fence sitting or any kind of hedging or expression of doubt in what is written in this update. Let me be absolutely clear: – we are now at the threshold of a barnburner rally in the Precious Metals sector, and silver is set to scream higher driven by a massive short covering panic, because short positions in it have ballooned in recent weeks to levels way above what we saw in December 2015, when silver hit its final bearmarket bottom, before the big sector rally during the 1st half of 2016. 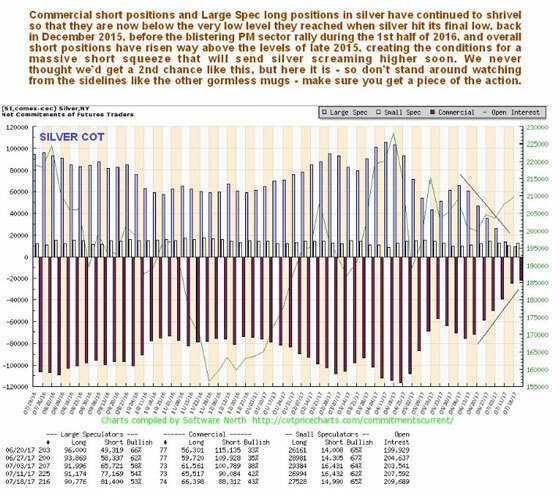 The latest silver COT chart shows that Commercial short and Large Spec long positions have fallen even further over the past week, despite the price having risen somewhat. These are now at even lower levels than we saw at the December 2015 bottom. Gold’s are about the same as last week and very bullish too, and for good measure we are just entering the most bullish time of year for the Precious Metals. So there it is – a massive opportunity staring you in the face, of the sort we haven’t seen since late 2015, and before that for many years. While I don’t follow technical analysis all that much, the Silver COT Report structure has certainly set up for a big move higher over the next 2-4 months.